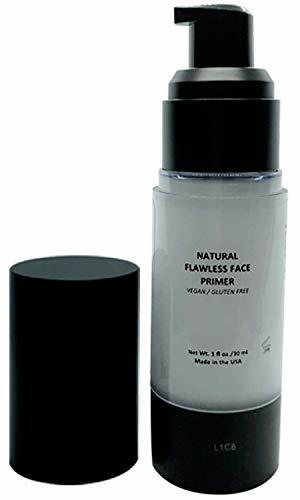 Our natural face primer is 80% organic, made with all natural ingredients, Vegan, Gluten Free, Non GMO and never tested on animals. All you need is one small pump! Super concentrated, a little goes a long way and will glide across your face evenly and effortlessly. Apply to clean or moisturized skin with fingertips, sponge or brush. Allow a moment to set and follow with makeup application. A modern formula that is packed with certified organic botanicals and antioxidants that will help nourish, protect & promote healthy radiant skin.